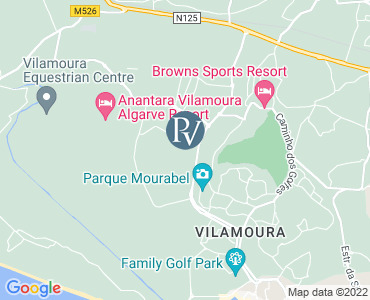 Casa Laguna is a 6 bedroom Premier Villa located in Vilamoura, part of the central Algarve, Portugal. This unique property offers a spacious and luxurious setting, and is equipped to a high standard with spectacular views over the Millennium golf course and located just five minutes from the beach and Marina. The entrance hallway leads to the living room which opens to the swimming pool and garden with fabulous views over the golf course, with lots of seating.The dining room has seating for 12 guests, with large doors opening to the garden. From here, the fully equipped kitchen can be accessed, with a laundry room with iron and irong board, which also has access to the outside. Next to the kitchen there is a cloakroom and a twin bedroom with en-suite shower bathroom. There is also an office converted into a twin/double bedroom. Guests in this bedroom share the bathroom of the twin bedroom. On the first floor there are 2 double bed bedrooms on the right-hand side, both with en-suite bathrooms with baths. Both bedrooms overlook the pool, having as well fabulous views over the golf course. To the left hand side on the first floor there are two other bedrooms, after a long hallway with wall to wall wardrobes. The master bedroom, twin bedded with separate bathroom with a bathtub. There is also a large dressing room where a single bed can be accommodated if necessary. Finally, the large master suite has a King size bed (2x2 metres), TV and DVD player and overlooks the golf course. This bedroom has an en-suite bathroom with bathtub. Outside, the fantastic large infinity pool takes centre stage. There is a dining area, with a charcoal portable BBQ, a seating area and a relaxing area where the sun loungers are strategically placed so you can enjoy the beauty and quietness of the golf course. A 700 Euro damage deposit is required upon arrival at Casa Laguna and will be returned at the end of your stay, subject to no damages. "A stunning villa in a perfect location"
Our initial thoughts as we arrived and explored the villa was Wow! The villa was well equipped , clean and spacious . The views overlooking Luguna and Millenium golf course were stunning and peaceful. Vilamoura marina is a short car ride with various choices of bars and restaurants. There is a great local cab service that speak English. This highlights the perfect location of this villa , with various towns that can be explored with the use of car hire. Premier Villas were professional and friendly and went above and beyond to make our stay at the villa memorable and enjoyable. We definitely will be returning ! A great family holiday .